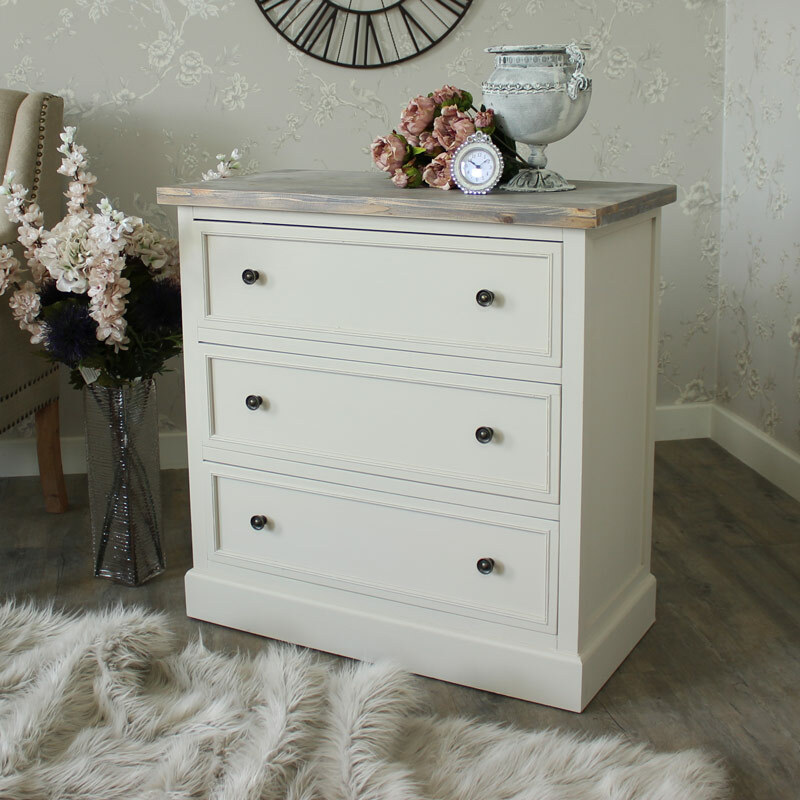 Whatever your style or needs, you’ll find a design, finish and size to suit. 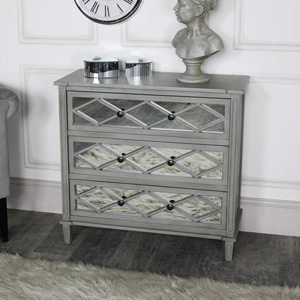 Choose from a compact 2 drawer chests to larger, grander 10 drawer styles, each designed to enhance your home. 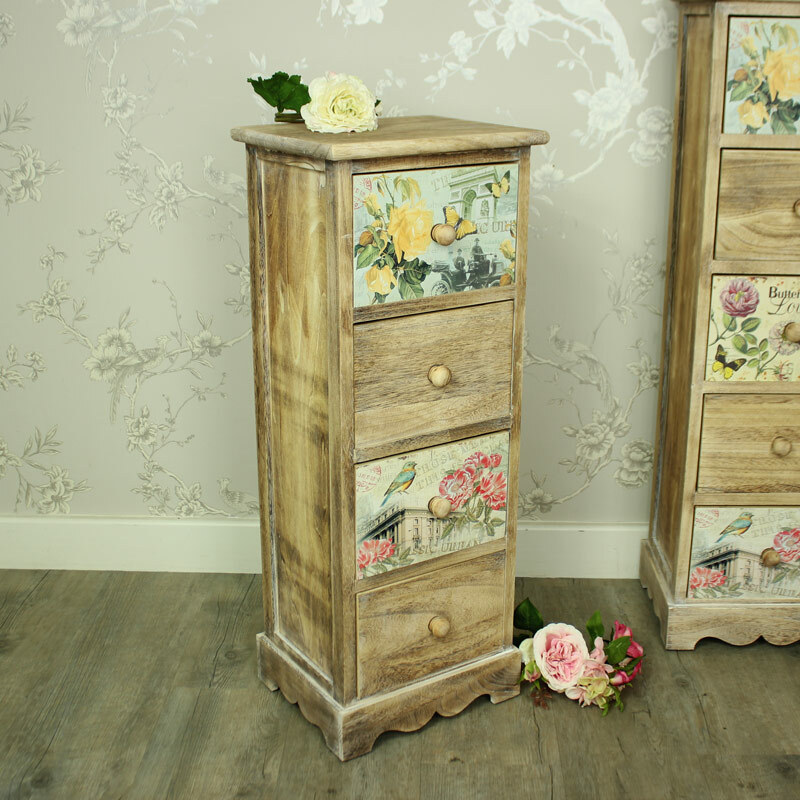 We specialise in painted furniture, and if you need a white chest, or a cream set of drawers in the shabby chic, French, ornate furniture style, you are sure to find something here. 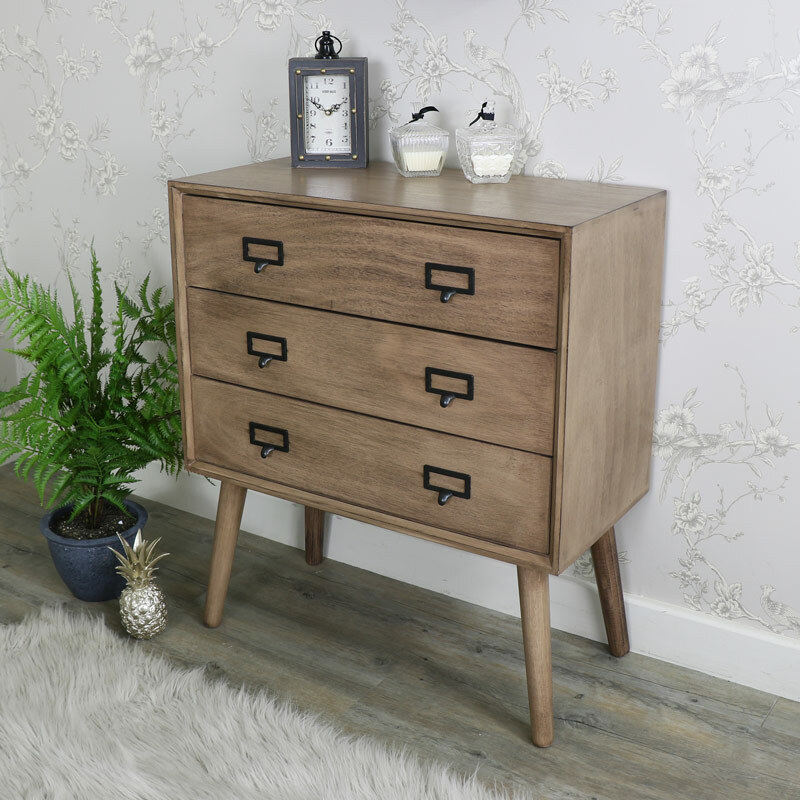 Practical and stylish, all of our chests of drawers are part of a larger furniture range, allowing you to coordinate everything beautifully, from shabby chic side tables and display cabinets in the living room to wardrobes and our ever so popular dressing table collection in the bedroom. 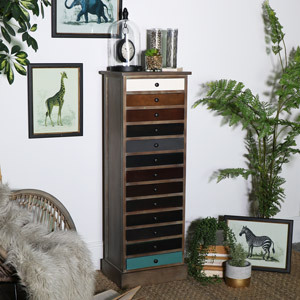 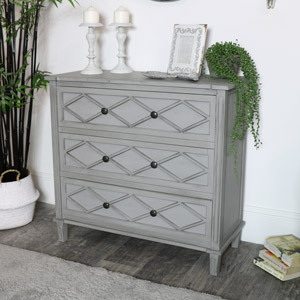 Find a chest of drawers that compliments your home. 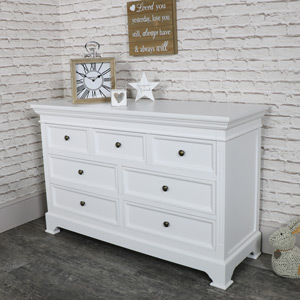 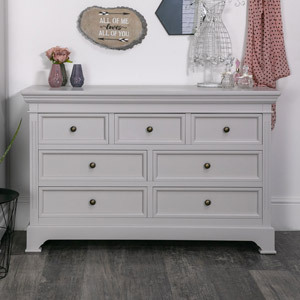 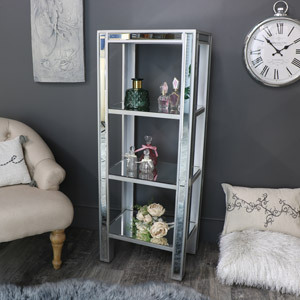 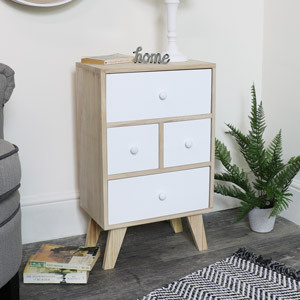 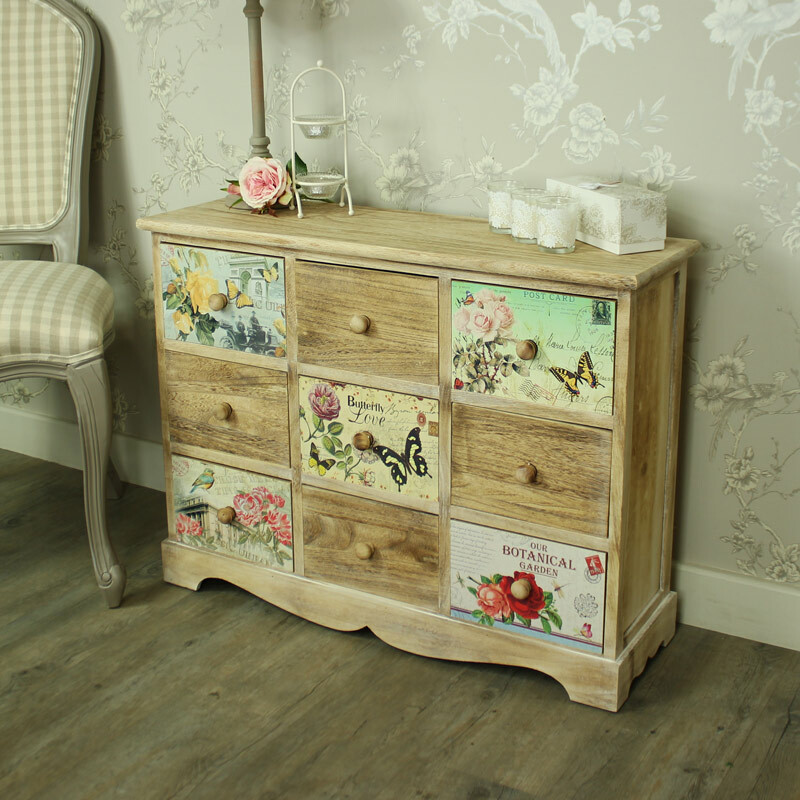 Our range includes tall, narrow and wide chests that will store all your belongings, perfect shabby chic bedroom furniture, or indeed for lounge, hall or dressing room storage. 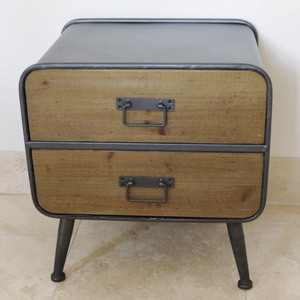 We also have a fabulous selection of small chest of drawers, perfect for smaller rooms. 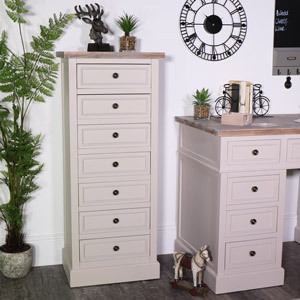 Create a country cottage feel with our cream chests of drawers which have stunning detail and even some with unusual shapes. 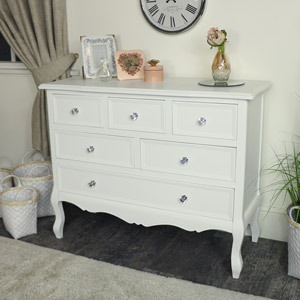 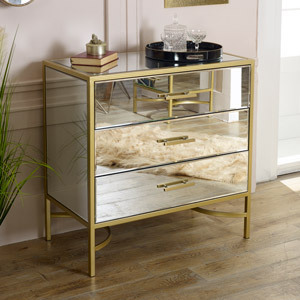 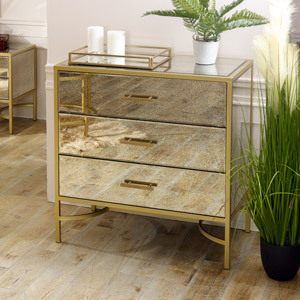 Create a bright, airy space with white painted drawers or even create a glitz and glam look with our timeless elegant range of mirrored chests of drawers.